Do you ever wonder why things have to be so difficult? 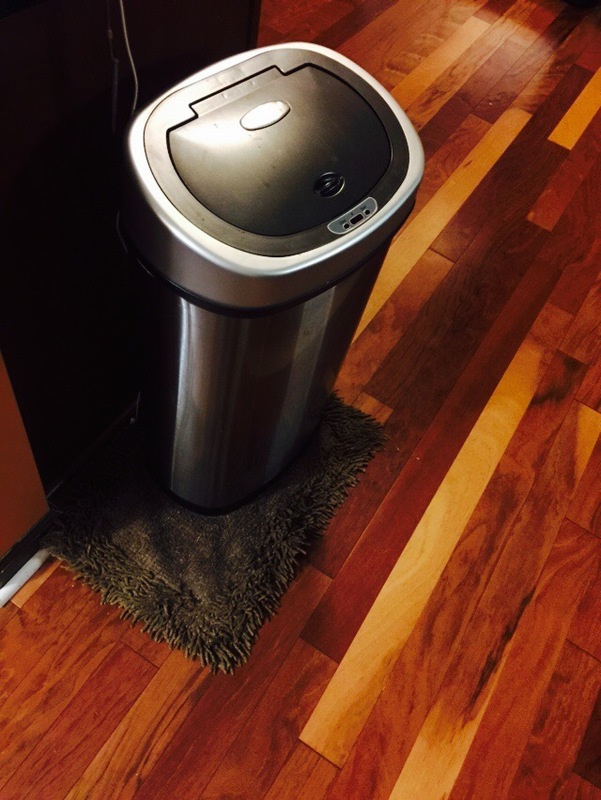 What can possibly be hard about purchasing a trash can and then use it correctly? Probably nothing in your household but in mines – madness! I don’t know why in this day and time you have to touch the top of the trash can. In my day we had to take trash outside and pick up the lid and place it back down, make sure it was on tight before we came in the house. My jokers have it so easy if they could just figure it out, they should never have to touch the lid. I have purchased several brands of trash cans over the years. Ones that flips up. They don’t work because somebody never sees the can is full and leaves it open smelling the house up with garbage. Swings open. No because everyone had to touch the lid leaving some residue that just makes the can look nasty. I had pedestal to open the tops. But someone used their super human strength and breaks off the pedestal and so on and so on and so on, None of these have worked. Thirty three years of searching for the perfect can. I just gave up. Well I thought I found it. My friend has an automatic trash can. I was at her house having a coffee break when her grandson walked up to the can and wait for it….it opened and he put his thrash in it and then it closed. WOW! He didn’t touch it any where. It just opened as if he mentally suggested – open sesame! For two hours I watch her family navigate around the can tossing, scraping, even spit trash into the can. I was impressed. I had to have that trash can. I was too ashamed to ask her where it came from but I knew Goggle would know. He sent me to Amazon and I purchased a NineStars Electronic Stainless Steele can that came with a bonus can. Two for the price of one. Impressive, I know right! I even additionally purchased the adaptor because I’ve seen this baby in action and I knew it was a keeper. Shouldn’t have to waste batteries on this life changer. I had to wait a couple of days for it but I was so excited i went to the store and purchased a rug to go under it. When it came I set it up immediately, prancing around the house like it was Christmas. Days went by and my hopes were slowing dashing. Somebody can’t get it to open. They stand in front of it waving their hands over it, gives up and pushes the backup button because they couldn’t wait a second. Everyone can’t change the bag properly. There happens to be a ring inside the can that you wrap the bag around so it doesn’t show on the outside. Someone occasionally opens it with their hands and leaves it open all night. I’ve even witnessed the can opening and close before the person let go of the trash and it hit the lid as if the person was stammering o op open pen ses sa meeee! Damn, what’s a girl to do? Titus, My only smart guy can open the can with no problems. He stands in front of it, waits, and when it opens gets his paper towels and let’s it close. At night he throws them around and leaves the mess all over the floor. That’s right Wonderers, only the dog can do it! The search is back on! I guess my mom was right, the trash can must go outside for sanity to remain inside. Thanks for perusing and good night.